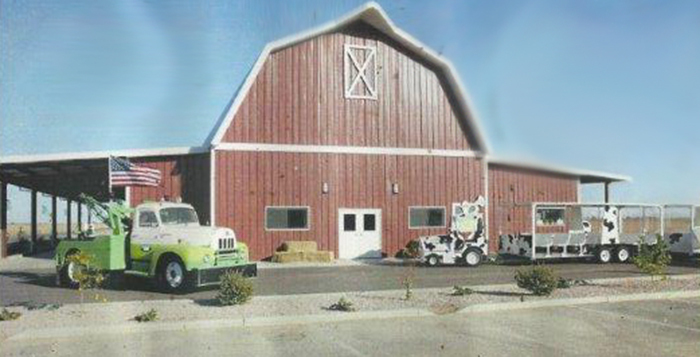 Arizona Workforce Connection will host hiring events for Shamrock Farms and Tractor Supply Distribution in September. Shamrock Farms is looking for candidates with strong communication skills that work well with people to be part of their team of Farm Tour Guides and Farm Tour Cashiers. The positions are seasonal and expected to last from October 2015 to May 2016. The company will be conducting interviews for the open positions during AWC’s hiring event on Sept. 16. The event will take place on Sept. 16 from 10 a.m. to 1 p.m. at the Arizona Workforce Connection offices at 1015 E. Florence Blvd. in Casa Grande. Walk-ins are welcome, but participants are able to set up an interview time before the day of the event because the interviews will be set on a first come, first served basis. Ideal candidates will have a high school diploma or GED, strong verbal and written communication skills, work well with people and provide good customer service. In either job, workers may be required to move products around, so they are asked to be able to lift up to 50 pounds as well. One week later, Tractor Supply Distribution will host a two-day event in hopes of finding material handlers to work at its location in Casa Grande. The event will once again be at the AWC offices in Casa Grande, and last from 8 a.m. to 5 p.m. on both Sept. 22 and 23. According to Martinez, Tractor Supply Distribution is looking to hire at least 60 people, but the number could be even higher if they meet with enough well qualified candidates. Just like the hiring event on the 16th, participants are able to register for the event ahead of time by contacting the AWC offices and speaking with an employment services specialist. Walk-ins will be welcome both days as well. Ideal candidates will have a high school diploma or GED, be able to read and speak English, and perform basic math. Due to the nature of the job, candidates should also be able to lift between 50 and 100 pounds, stand, bend or squat for prolonged periods of time, and be comfortable with heights. Other job requirements will include the ability to use a bar code scanner, two-way radio, computer, lift truck and pallet jack, dock door leveler and a stretch wrap machine. A background check and drug test is required as well. For more information on the hiring events, contact Arizona Workforce Connection by calling (602) 542-2460 or visit www.arizonaworkforceconnection.com.